The water within a soil system contains dissolved minerals and is the main source of water and nutrients for plants. Soils are dynamic and evolving biological systems that provide plants with water, nutrients, and physically anchor the root. More often than any other single factor, soils are responsible for the poor performance of landscape plants, but are often given very little consideration when a site is being selected for landscape plantings. To make matters worse, the process of developing a site and building structures almost always results in compacted soils, thus making the surface practically impervious to air and water. Even when seemingly proper soils are selected for special planting situations, poor plant growth often reveals the developer’s lack of understanding of soil properties and their importance to healthy plant development. In problem landscape settings, the use of soil amendments can dramatically help to revitalize a challenging area. The long term maintenance costs will be lower as well since the problems associated with an unhealthy landscape or turf area will decrease if soil problems are resolved. 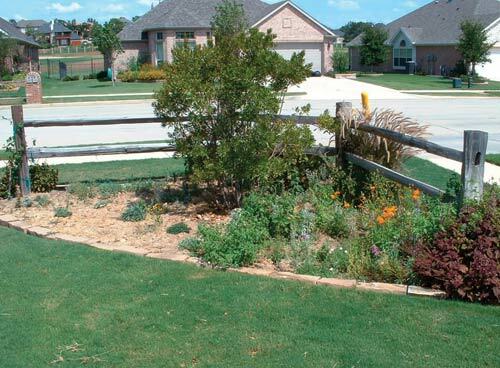 A properly balanced and biologically active soil provides the key to your landscape success. The four main components of soil are minerals, air, water, and organic matter. Mineral matter is comprised of sand, silt, and clay—the three basic building blocks of soil. The water within a soil system contains dissolved minerals and is the main source of water and nutrients for plants. The air in the soil is needed for plant respiration and soil microorganisms to obtain oxygen. Organic matter includes plant and animal residues at various stages of decomposition, cells and tissues of soil organisms such as earthworms, and substances synthesized by bacteria and other microscopic soil inhabitants. Despite the small percentage found in most soils, organic matter is the foundation of a healthy and productive soil. Fertility, water availability, susceptibility to erosion, soil compaction, and even resistance to insects and disease all depend on soil organic matter. Most soil organic matter is present near the soil’s surface. Plant roots become organic matter as their cells slough off and die. Earthworms and insects incorporate the surface residues deeper into the soil, but still the highest concentration of organic matter remains in the top six inches of soil. Crop cultivation, harvesting, erosion, and natural decomposition gradually reduce the amount of organic matter in soils, however you can maintain—and even increase—your soil’s current organic matter level through proper management. A soil with a good physical structure will have pores and channels of many sizes that will allow rainfall and irrigation to penetrate without producing runoff that will wear away topsoil layers and beneficial organic matter. The presence of soil organic matter helps to form and maintain these air passages and channels. In addition to preventing erosion, compaction caused by maintenance equipment and mowers is minimized when soils drain properly. Sandy soils contain larger mineral particles separated by wide open pore space. The spaces between the soil particles may allow water to drain too fast, carrying beneficial nutrients away from the plant roots. Because there is very little organic material in sandy soils, they will dry out quickly even after a heavy rain. They heat up fast during the day, and cool down quickly when the sun goes down. These continuous soil temperature changes put unhealthy stress on plants. All that said, sand is an essential component of loamy soil because it loosens clay and silt particles. Sand should ideally make up for about 40% of a soil’s content. When amending sandy soils, the goal is to increase the soil’s ability to hold moisture and store nutrients. To achieve this, mix in composted organic matter, aged manure, sphagnum peat, or vermiculite to bind the soil particles, improve water retention, stabilize roots, hold nutrients and establish an environment attractive to earthworms and other helpful organisms. This new bed has a season of grass clippings in it, and half also has aged manure and Turface tilled in. Clay is at the opposite end of the soil spectrum from sand. Soils with high levels of clay have small particle size and are frequently compacted, and have few air pockets. Clay particles are fine, flat, and packed tightly together. These characteristics result in a plant-resistant soil that stunts root growth and is nearly impossible to till because of its weight and density. When it rains, clay accumulates water and puddles may form on the clay’s surface. High levels of clay may encourage root rot on some plants due to constantly soggy soil. Although clay is rich in minerals, its impenetrable mass discourages soil-friendly organisms from working the soil. For all of these reasons, clay should ideally make up approximately 20% of a soil’s content. With clay soils, the goal is to improve soil aggregation, increase porosity and permeability, and improve aeration and drainage. Clay soils can be effectively amended through the addition of fibrous organic matter such as peat, wood chips, and straw. Additionally, gypsum, and perlite can improve the characteristics of a clay soil. Loam is 40% sand, 20% clay, and 40% silt. Loam is the soil combination most coveted by gardeners and landscapers. It’s dark and richly colored, with an earthy aroma. Its composition and texture are a balance of sand, silt, clay, and organic material. This combination is ideal because it allows water, air, and nutrients to flow downward to the roots of the plants. The lightweight, non-compacted texture is also very easy to dig, and provides a secure anchor for root systems while still permitting the roots to spread evenly, providing a perfect home for worms and other soil-benefiting organisms. How would you characterize your soil? In order to improve it, you must first identify your soil type. Is it the red clay of the Southeast, the sandy clay of Texas, or the caliche (sandy, rocky, alkaline stuff) of the desert Southwest? Is it boggy muck that drains poorly and is virtually devoid of nutrients? Or, are you fortunate enough to have good loam—a rich balance of organic matter, sand, silt, and clay? An ideal landscape and/or garden soil is one that is easy to work and holds sufficient water, air and nutrients to sustain plant growth. The types and quality of your garden’s soil affects the plants’ vitality as well as how much time you will spend working to improve it. Even gardens with good soil benefit from regular additions of organic matter to improve fertility and improve the physical characteristics of the soil. Stress from poor soil conditions makes plants vulnerable to insects and disease, when one improves the soil, the plants growing in it have a better chance of both surviving and thriving. Although it is ideal to start building a landscape from the soil up and incorporating the proper amendment before any plants are installed, most of us rarely have the opportunity to start from scratch. Consequently we are left to combat poor soil conditions created from previous construction and compaction. Adding amendments to the soil in an existing landscape, garden or turf area will make that soil more fertile and healthy. A soil amendment is any material mixed into a soil to improve its physical properties, including water retention, permeability, water infiltration, drainage, aeration and structure. The goal is to provide a better environment for roots. To be effective, an amendment must be mixed into the soil thoroughly. If it is just dumped on the surface, or buried in a clump, it could interfere with water and air movement and inhibit root growth. Mulching and amending are very different. Mulch is left on top of the soil layer, while an amendment is mixed into the soil. Some mulches may be used as a soil amendment after they have decomposed. Simply mix it in and add new mulch on top. There are two main categories of soil amendments: organic and inorganic. A soil amendment is any material mixed into a soil to improve its physical properties, including water retention, permeability, water infiltration, drainage, aeration and structure. Inorganic amendments are either mined or man-made, and include vermiculite, perlite, sand, shredded tires, and pea gravel. Organic amendments come from something that is (or was) alive, such as grass clippings, hay, straw, sphagnum peat, rice hulls, pine needles, wood chips, compost, sawdust, biosolids, manure, and wood ash. The inorganics include Turface® and Profile Professional Soil Conditioner®: high-heated ceramics that create permanent pore space, and increase drainage and moisture retention at the same time by balancing air and water pore space in the root zone. Vermiculite is made from heat-expanded silica, it has a high water-holding capacity and will increase pore space. Perlite is comprised of heat-expanded volcanic glass, and will also increase pore space, but has a lower water-retention rate and is not recommended for sandy soils. Ceramic inorganic amendments work great in any soil type. Organic amendments increase a soil’s organic matter content and offer many benefits. 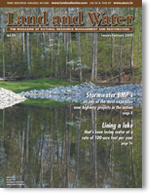 Organic matter improves soil aeration, water infiltration, and both water and nutrient holding capacity. Many organic amendments contain plant nutrients and—when decomposing—act as organic fertilizers. Organic matter is also an important nutrient source for bacteria, fungi, and earthworms that feed on microorganisms in the soil. Beneficial bacteria, protozoa, fungi, nematodes and other soil microbes consume the carbon in organic matter (and each other) and excrete nitrogen, which plants use for growth. Earthworms, beetles, and other soil-dwelling creatures also eat organic matter and tunnel through the soil, creating beneficial air spaces and excreting nutrients. Organic matter improves the soil structure. As organic matter decomposes, bacteria and fungi form humus, which helps improve soils. Humus helps sand soils stick together to hold more water and nutrients. It also helps open up spaces between small, sticky clay particles, so that clay soil drains better and contains more oxygen. Organic matter also increases the reserve of soil nutrients. Soil microbes store nutrients in their bodies, which are released as they die or are consumed by other microbes. The more microbes the soil has, the more nutrients it can store. Studies have shown that moderate applications of organic amendments can reduce the appearance and severity of root rot and diseases like pythium. It has also been shown to protect plant roots from potentially harmful levels of aluminum that occur in some acidic soils, and also from certain herbicides that may be toxic to plants. Fresh manure can harm plants due to elevated ammonia levels—use aged manure, or manure that is six months old instead. Wood ash is high in pH and salt content. Lime and manure is a bad combination as it produces ammonia. Rice hulls can be a source of weed seeds, unless they have been treated. Sphagnum peat is generally acidic, with a low pH. Compost, manure, and biosolids may be high in salt. Adding sand to clay is a bad idea—this creates a soil structure similar to concrete. 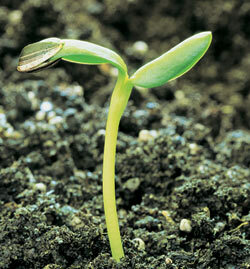 Seeds will germinate faster and healthier when proper soil amendments are used. Biosolids are byproducts of sewage treatment. The primary concerns about biosolids are that some of them contain high levels of heavy metals, pathogenic bacteria and salts. To avoid excessive levels of heavy metals and to ensure that pathogens have been killed, always use a Grade 1 biosolid that has met the stringent requirements for metal concentrations, pathogen reduction treatment and vector attraction reduction. These may be used on vegetable gardens, however they are not meant for use on root crops as they will come into direct contact with the edible portion of the plant. Wood products in general can tie up nitrogen in the soil and cause nitrogen deficiency in plants. If using a wood or sawdust amendment, it may be necessary to apply a nitrogen fertilizer at the same time to avoid a nitrogen deficiency. Microorganisms in the soil use nitrogen to break down the wood, and within a few months the nitrogen is released and again becomes available to the plant. When choosing a soil amendment, consider the length of time an amendment will last in the soil, the soil’s texture, the soil’s salinity the pH and salt content of the amendment, and whether one is growing salt sensitive plants. The general rule of thumb is if you are trying to improve soil physical properties quickly, choose a fast-decomposing amendment like grass clippings or manures. If you want a long-lasting improvement to your soil, choose an amendment that decomposes slowly like wood chips or peat. If you want a quick improvement that lasts a long time, choose a combination of amendments like compost. Soil microbes don’t work as efficiently when the soil is cold and wet, such as in the winter months or early Spring. They also use nutrients in the soil to fuel their appetite, so if you give them too much carbon-rich material to work with all at once, they tie up nutrients, creating a deficiency for the plants. If you live in a cold winter climate, add straw, leaves, and other raw organic matter in the summer or autumn when the soil is still warm in order to allow them plenty of time to decompose before the plants need the nutrients. Also, test any new soil amendment you plan to use for its chemical, physical, and biological properties so that you will know how it will affect your soil and crops. Building a soil’s organic matter is easy to do, and will noticeably benefit the health of your soil and plants. Remember to identify your goals for building a soil’s organic matter before you choose a soil amendment. 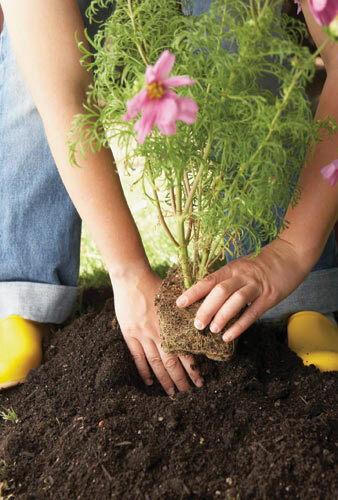 Add organic material any time you can to your plantings, whether it’s straw mulch between vegetable garden beds, compost around perennial flowers, or bark mulch around trees and shrubs. You will improve the quality of your soil, reduce compaction and crusting, increase drainage and moisture-holding capacity, and may also need less fertilizer because soil organic matter serves as a reservoir for plant nutrients. Plants will be healthier, may yield more, and will be more tolerant of drought, insects and disease. Finally, remember that soils are dynamic and evolving, and that you have the ability to manage the soil to improve its properties and grow healthier plants.